Top Echelon Network, an elite recruiter network of highly specialized search firms, welcomed six recruitment agencies to the ranks of its Preferred Membership during the month of June. Top Echelon Network welcomed six recruitment agencies as Preferred Members in June. We experienced an increase in applications to our split network, and we’re pleased to welcome a new group of recruiters to Top Echelon. For the past 25 years, Top Echelon Network, an elite recruiter network of highly specialized search firms, has helped recruiters make split placements. One of the ways the Network has accomplished this is by ensuring that only split-minded, experienced recruitment firms become Preferred Members. After being accepted, each Preferred Member agency is expected to achieve a defined level of success within the split network in order to maintain its membership status. Top Echelon Network Membership Development Coordinator Drea Codispoti, CPC/CERS is responsible for screening the recruitment agencies that apply for Preferred Member status. Codispoti took the six agencies through all four steps of the screening process and granted them admission into the Network. Nearly 400 recruitment agencies from all major industries are part of Top Echelon Network, founded in 1988 and based in Canton, Ohio. Network recruiters can search open job orders and qualified candidates, set up automated email alerts, and share information with each other for the purpose of making split placements. 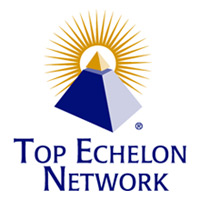 Read more about Top Echelon Network’s screening process. Apply for membership in Top Echelon Network.